The Salvatore Ferragamo® Revival Gancio Card Holder is the perfect companion on a wild ride. Textured, genuine leather card case. Engraved Double Gancio hardware plaque at the front. Six credit card slots and centered slip compartment. 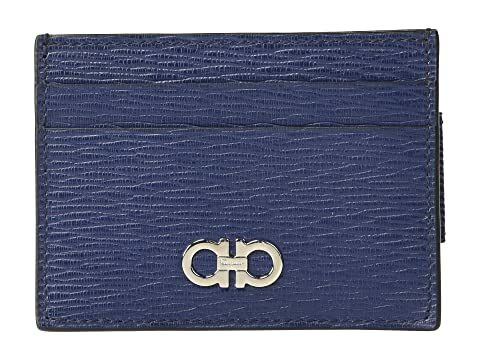 We can't currently find any similar items for the Revival Gancio Card Holder - 66A387 by Salvatore Ferragamo. Sorry!